Alright, no more silence on this devblog. So you can drop that shovel cause we’re not dead yet. And please, fill up this hole: someone could accidentally fall in it and break his neck. Well…maybe you should keep your shovel near you until next month. This is some kind of side project, like Tuper Tario Tros. and Greek and Wicked were. Except this time this is a ‘real’ (little) game, not just an experiment. And yeah again, you absolutely right, Battleblock Theater and this thing share the same isometric representation DNA. 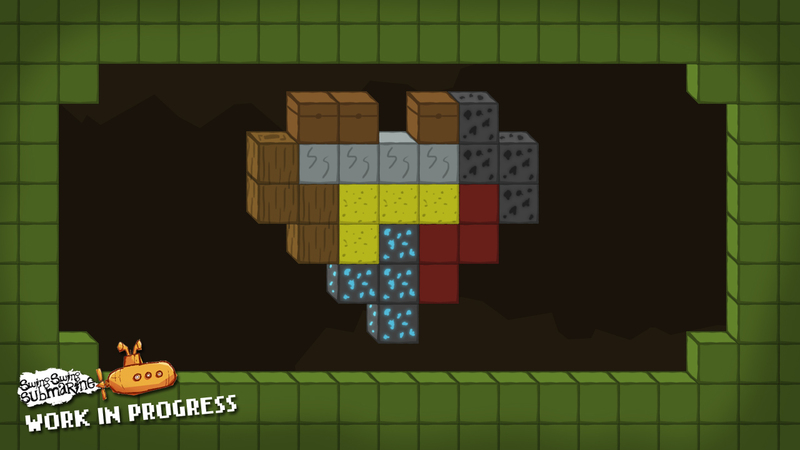 At the beginning of the development, we were using a pure 2D representation but since we wanted to make some homage to Minecraft, it was a little bit sad to not have the 3D representation of the blocks… so we tried with isometric blocs and the homage was more comprehensible, and the looking more consistent. Then we figured out that this representation was similar to the one used in Battleblock Theater, expect from the perspective which seams to be mirrored. As for Tetris, this is another homage we wanted to make. You will have further explanation in the next article coming in few weeks. Thanks again for reading us! I hope that your Jump & Slide is working well on the AppStore, and I really looking forward the next one! I see Battleblock Theater in this, and also a lot of tetris blocks forming the heart! Is this a side project from Seasons after Fall ? We have very little time to play since January. We’ll unveil more information about this picture next week, but there’s a little bit of Minecraft stuff inside. Do you see any other game in the picture ? And what is this? Are you playing Minecraft now? Hi Ciro, thanks for the art, and don’t worry about making games… we are working on it! See you soon in a next article for more details ! We love you guys ! Keep going!